Take a look at how FUEL’s Streaming Inventory™ tool can help you close more deals. FUEL’s Streaming Inventory™ tool automatically populates your VDP with color matched, trim specific vehicle images for every vehicle in your inventory. 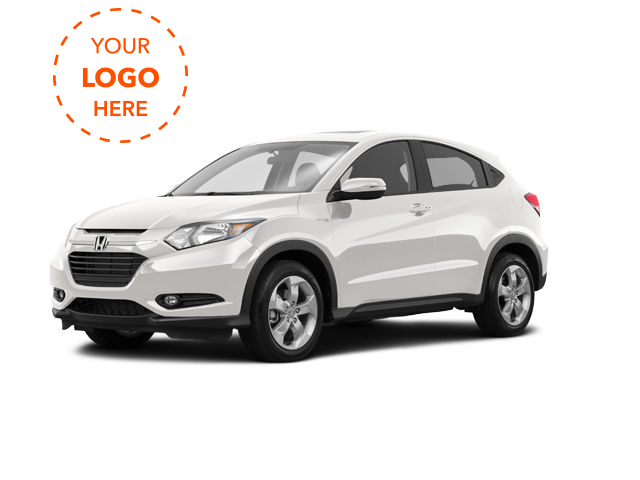 We can overlay your dealership logo to give stock images a more custom feel. Our images are all shot in consistent, appealing angles, lending the same polished looks you’ll find in manufacturer catalogs. Our vehicle shots are all accurately color-matched so what the consumer sees in the listing is what they’ll see on the lot. FUEL Streaming Inventory™ automatically updates your inventory listings to make them more accurate, professional, and effective. High-quality images are affordable compared to traditional lot photos. Dealer inventory tool works with the top data providers. Daily updates ensure that your inventory has the latest images. 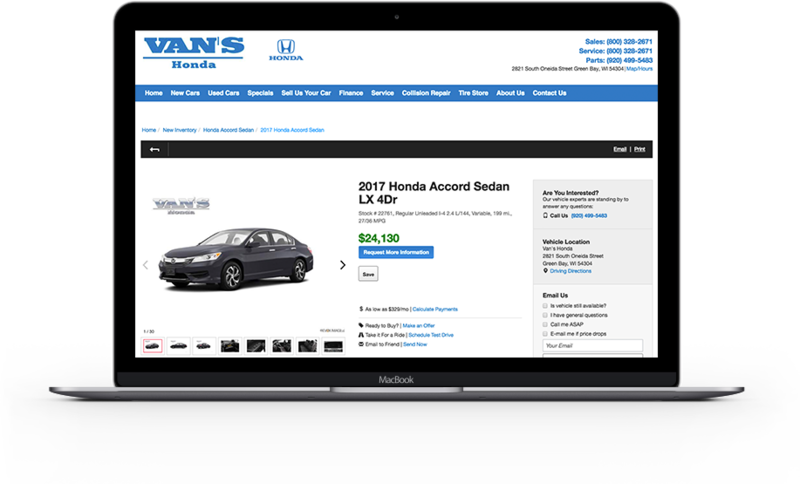 The Sales team at Van’s Honda has been using FUEL’s Streaming Inventory™ tool since early 2015 to manage the new vehicle inventory on their dealership website. 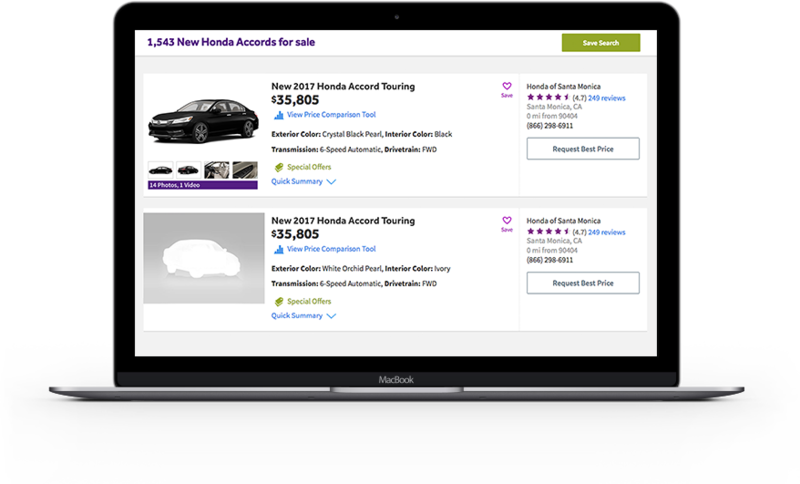 Each night, FUEL’s Streaming Inventory™ exports new vehicle images to their VDP pages, ensuring potential buyers can find exactly what they are looking for. Let us make the most of your vehicle listings.